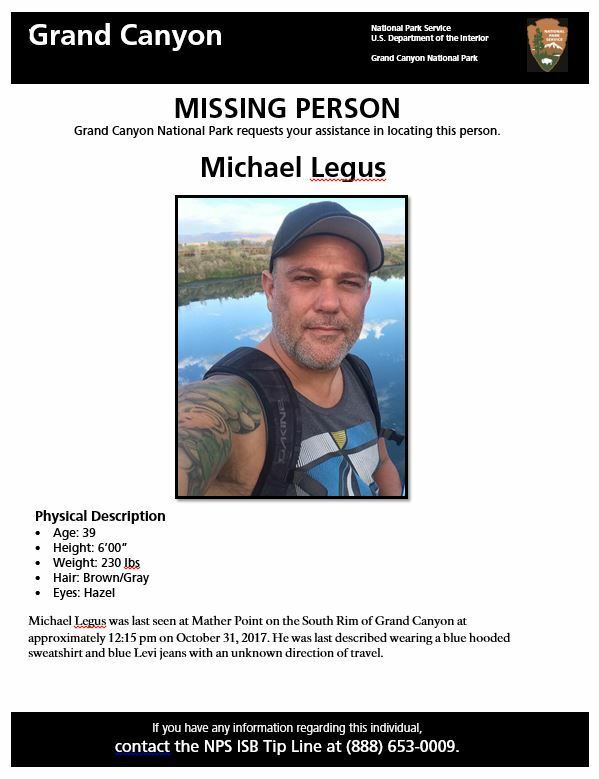 GRAND CANYON VILLAGE, Ariz., Nov. 2, 2017 (Gephardt Daily) — A search is underway in Grand Canyon National Park after a man from Utah was reported missing Tuesday, officials said. 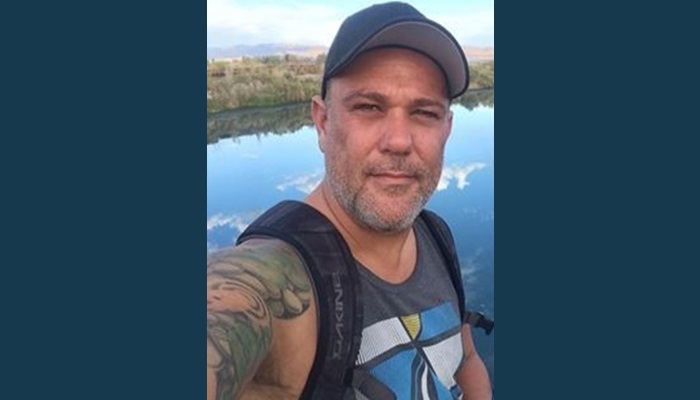 Michael Legus, 39, from Tooele, was last seen at Mather Point, on the South Rim, at approximately noon, according to a news release from the park. Legus was reported missing by a friend, who did not know what direction he went in. Legus is described as 6 feet tall and 230 pounds, with brown/gray hair and hazel eyes. He was last seen wearing a blue hooded sweatshirt and blue Levi jeans. Anyone who sees the man is asked to call the park’s tip line at 888-653-0009.